Do you ever hear a word and immediately think of another word, and then the first word gets replaced with your new, made-up word? It happens to me ALL THE DARN TIME! In fact, it happened to me with the Bodega font, which in my mind I keep called "bojangles". It makes no sense, since Bodega is the epitome of elegance, and bojangles is, well, a fried chicken empire. I suppose I love good fried chicken as much as I love a good font, so perhaps my brain isn't as far off as I feel it is. Wait, how did I end up chatting about fried chicken for this Font Friday? Oh right, bojangles. I mean, Bodega. 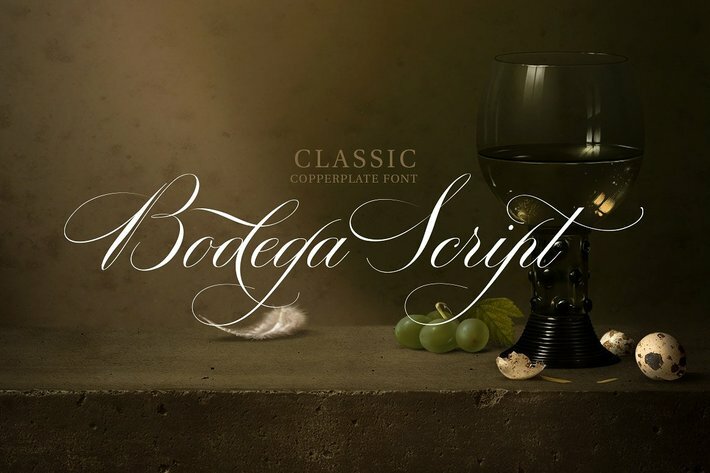 Bodega is a fairly common font used for invitations, and it's easy to see why. It's a traditional copperplate script font that is legible (the number one thing my brides look for when selecting a script! 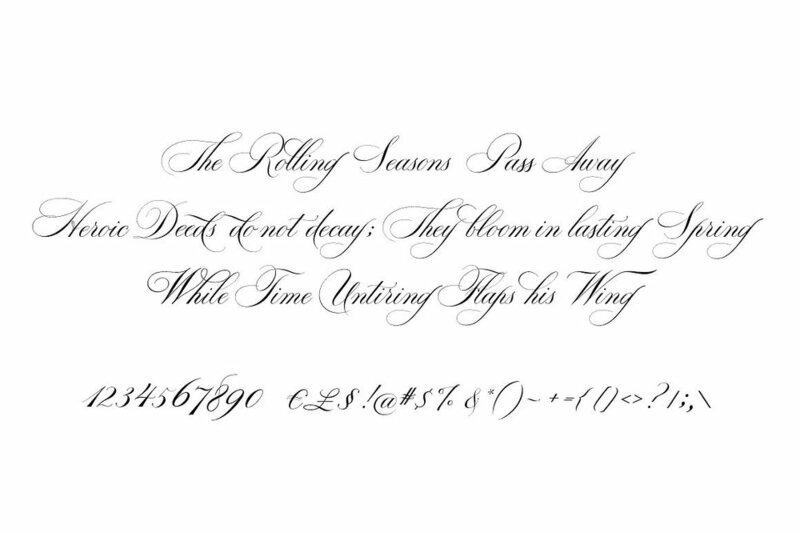 ), clean, and still offers beautiful flourish options. As a designer, it's a great staple to have in your font library, and is worth every penny of the $45 (other good quality script fonts are often more than double that). Love fonts as much as I do? Follow along every Friday for Sincerely, Jackie's Font Friday features, and catch up on past Font Friday selections. 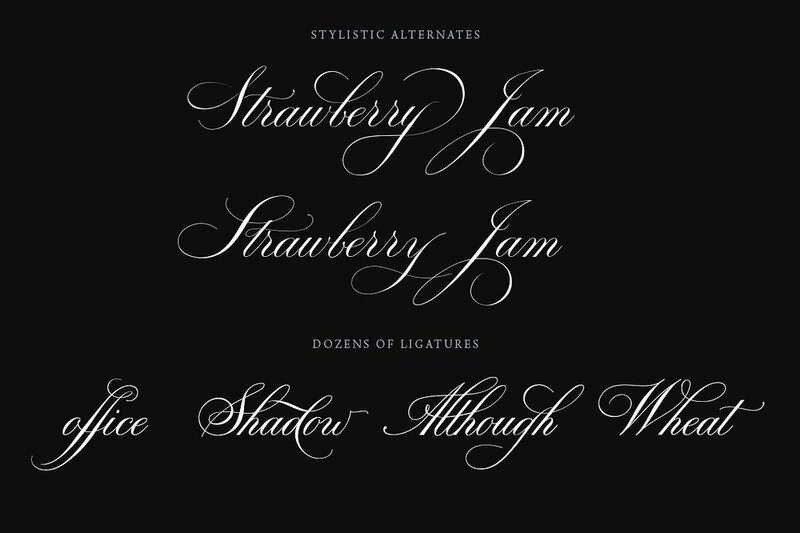 Want even more font goodness? Follow the Sincerely, Jackie FontabulousPinterest board. Some posts may have affiliate links, but all opinions are 100% mine. I'm an incurable font-aholic, what can I say?